Congratulations to Dr. Mohammad Abrar Alam, assistant professor of chemistry, who recently was recognized by Arkansas Biosciences Institute with its New Investigator of the Year award for 2017. 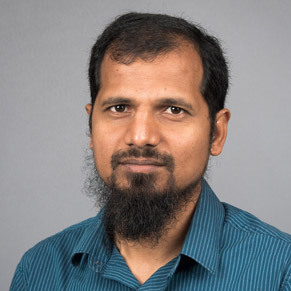 Alam's research work includes three recent grants funded through the Arkansas IDeA Network of Biomedical Research Excellence (INBRE) -- two involving novel pyrazole compounds, and an instrumentation grant for cryogenic storage for mammalian cells. 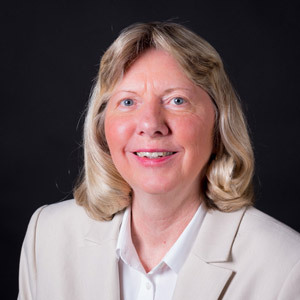 Dr. Catherine Calloway, professor of English, recently presented a paper, which focused on American literature written about the Iraq War, at the annual meeting of the Arkansas Philological Association in Little Rock. Five English graduate students, Heather Watson, Kenzie Fair, Audrey Belton, Hayley Webb and Bethany Gallimore, also presented papers they wrote in Calloway's graduate seminar on literature of the Mississippi Delta region. Congratulations to Dr. Fabricio Medina-Bolivar, professor of plant metabolic engineering, and Dr. Carole Cramer, professor of molecular biology, and graduate student Tianhong Yang. Their work with Worcester Polytechnic and University of Wisconsin involving plant tissue scaffolding made Altmetric's annual list highlighting research that has attracted the most attention worldwide. 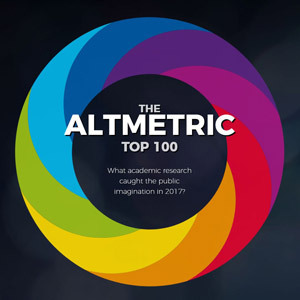 Altmetric's Top 100 ranks their work, previously reported in Inside A-State, at #53 for 2017. Johnathan Reaves, KASU news director, attended the recent Public Radio News Directors Inc. (PRNDI) board retreat in Philadelphia. Reaves, who serves as small station representative on the PRNDI board, participated in planning for the organization's annual conference. 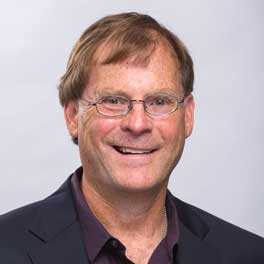 PRNDI is working with NPR-member station WHYY in Philadelphia, which is partnering with the group to put on the conference for public radio newsroom personnel. 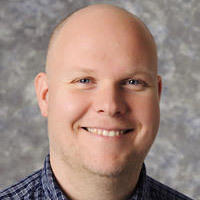 Dr. Jody Long, assistant professor of social work, was interviewed by a local TV station regarding depression and suicide during the holiday season. To cope during the holidays, he recommends individuals stay active and connected with others through family, church, neighbors, friends or volunteer work. The key is to not face the holidays alone. Those with holiday depression or suicidal thoughts should seek help from professionals as soon as possible.